We love pampering our guests day after day with high-quality details and services able to make a difference and guarantee a stress-free stay to those choosing us for their holidays or business commitments. 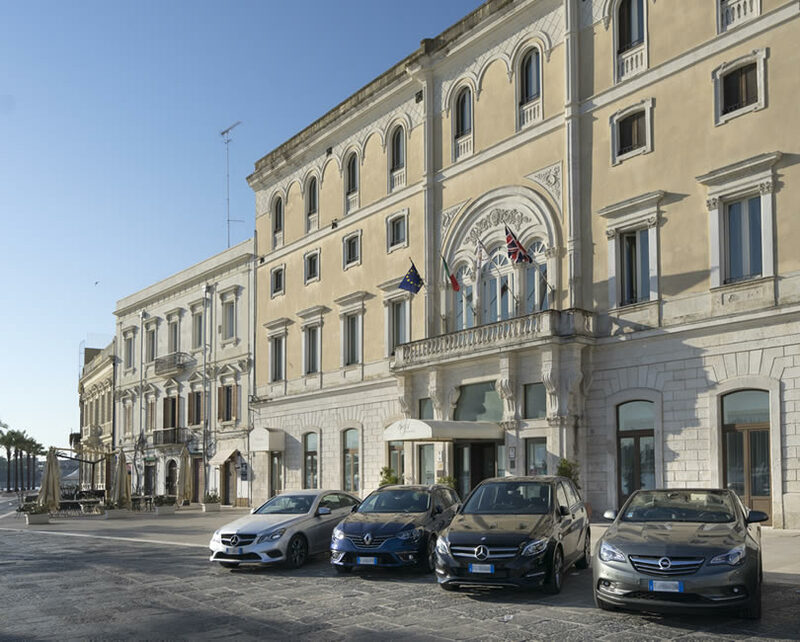 As you step in Brindisi, you will be able to leave your car in our hotel parking, an internal and attended paid garage available upon reservation and with limited capacity. Alternatively, public parking spaces are less than 200 meters away with the possibility to park freely or by paying a fee within the striped blue area. The reception desk and bar service are open 24h, WI-FI is free and available all throughout the property including rooms. Small-size pets are welcome at no extra fee. We also offer our guests all the comfort of a private beach a stone’s throw from our property where you can unwind and spend relaxed days at sea with your soulmate or family. Medium-size pets will be subject to a final cleaning charge (request further information upon making a booking).